On the go this Thanksgiving? We have handpicked some of our favorite recipes that are easy to prepare and take on the road with you this season. Thanksgiving is one of those holidays where everyone at the table has a favorite dish they look forward to eating. It’s a great time for cooks to flex their culinary skills for friends and family, but did you know that 91% of Americans drive to their Thanksgiving Day feast? If you have ever been a part of that 91%, you may have asked yourself, “What can I bring that won’t make a mess or taste disgusting by the time we get there?” Wonder no more. 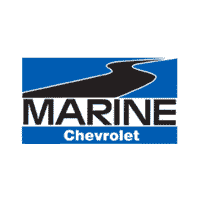 Marine Chevrolet Cadillac has compiled some favorite Thanksgiving recipes that are travel-friendly. Try your hand at one or all of these mouth-watering dishes this holiday. 1. Bake pie as package directs. Spread pecans in a baking pan or a dish and bake or microwave on high, stirring occasionally, about 5 minutes or until fragrant and toasted. Arrange in concentric circles on pie. Spoon caramel topping into a small ziplock bag. 2. Just before serving: Snip tip off corner of bag; drizzle pie with topping. 1. Have ready a 1 1/2-qt shallow baking dish. 2. Boil potatoes in a large pot in water to cover 15 to 20 minutes until soft when pierced. Drain; return to pot. 3. Mash with a handheld mixer or potato masher. Add sour cream, butter, hot milk, salt and pepper. Beat until blended and smooth. Stir in 3/4 cup cheese and the chopped scallions. Spread in ungreased baking dish. Cover tightly with foil. 4. Bake 25 minutes, or until hot. Uncover; sprinkle with remaining 1/4 cup cheese and bake just until cheese melts. Sprinkle with scallions.